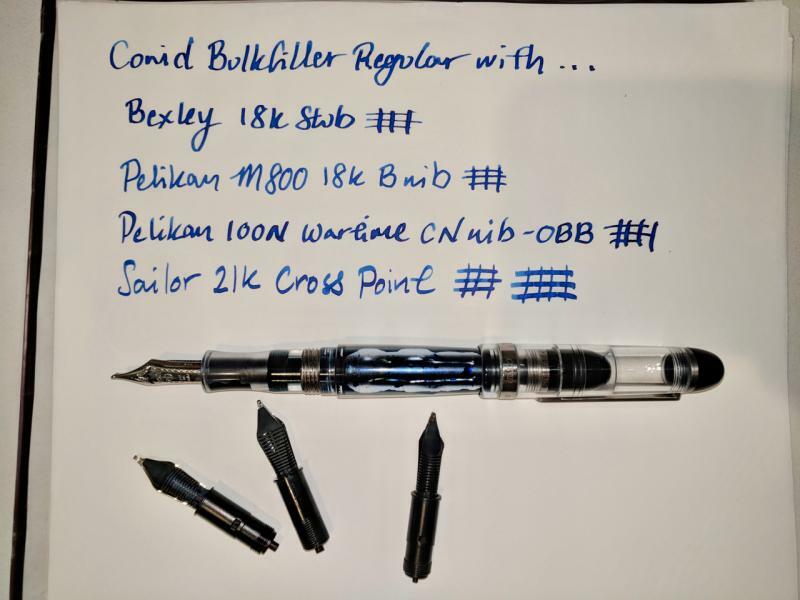 For me, the best part of the Regular Bulkfiller is the wide range of nibs you can use on the Bock #6 feed and the ease of swapping. The four nibs I used for the photo were "hotswapped" on the inked pen, with no mess other than predictably inky fingers. Has anyone else tried experimenting with non-Bock nibs? It'd be nice to have a running list of what works and what doesn't, keeping in mind that there's a lot of variation in the #6 housing and feeds and some may fit a nib better than others. Edited by mori45, 14 April 2018 - 23:32.